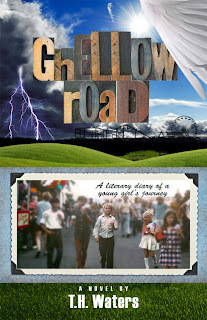 Truthfully when I was given the opportunity to read Ghellow Road I wasn’t really sure what to expect. However, I am so happy I read this amazing memoir about a childhood filled with pain and struggle. It truly captivated me from the start and I could not put it down - in fact, I read it all in one sitting on a rainy Saturday. What we have is a story about a family that becomes fractured and completely broken as a result of the mother's battle with mental illness, specifically schizophrenia. The mother is terribly depressed and often talks to the voices that only she can hear - incidents that Theresa is witness to at such an early age. Of course, being so young, Theresa is unable to understand why it is that her mother is home one day and gone the next. Instead she must deal with being shuffled around to different homes, without a parent to watch over her. Her father is so lost and unable to handle his wife's mental illness. And her brother leaves home as soon as he can and doesn't look back - he doesn't want to deal with the fact that his relationship with his mother is nonexistent. It’s really rather heartbreaking having to read how alone these children were and the ways in which they had to fend for themselves. Reading about Theresa managing childhood and the angst-ridden teen-aged years is sad and riveting. The ups and downs that life throws her way makes you wonder how Theresa will turn out - will she be a victim of a broken home or will she be an exception and grow up to be a strong and independent woman capable of tackling the world? The answer is that you will be happily surprised and amazed at the positive direction that Theresa manages to steer her life. Thanks to some dear friends and members of her community, Theresa is able to finally get some help and support, which truly do make a difference in her life. Not only does she realize that there are good people and experiences out there in the world, but that there are people who care about her. Plus, Theresa envisions a future for herself, which I believe is the biggest success of all. 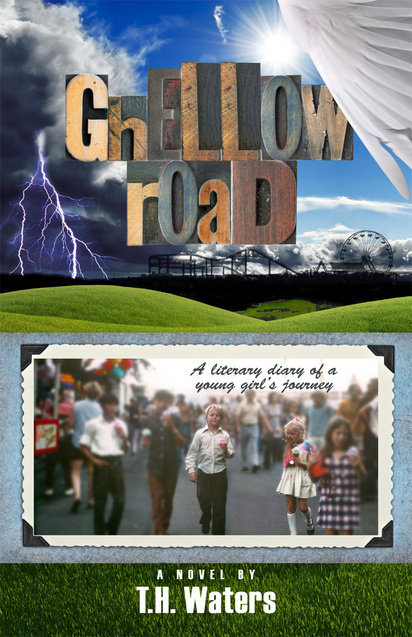 Well written, compelling and very character-driven, Ghellow Road is a memorable book that will leave you feeling sad and happy. Though heartbreaking to read at times, you will enjoy the few happy moments that Theresa recalls, along with the ending where she finds herself heading toward her future. Broken up into two books, “Living in the Shadow of The Invisibles” and " Fumbling through the Tangled Labyrinth”, this story does not contain any chapters and simply flows from one memory to the next. You can get a sense of how Theresa is remembering her childhood and teen-aged years. Definitely a good read! I would recommend this book to anyone interested in memoirs, books on family dysfunction and stories that involve mental illness, specifically schizophrenia. This is one book that I will not soon forget. I want to thank T. H. Waters for providing me with a copy of this great book - it was engaging and emotional and completely captivating! sounds really interesting, Nadia. 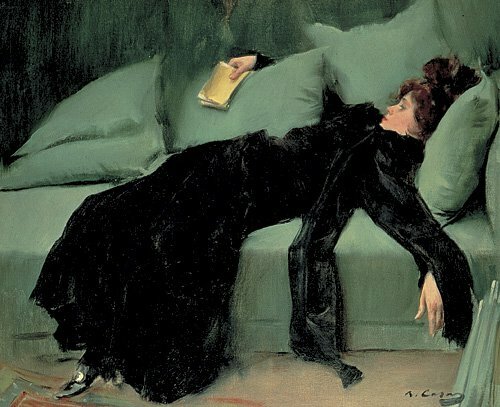 it seems like memoirs are the new black! Sounds like a very powerful read. Having a mother afflicted with mental illness (of any kind) IS rough for the kids. I speak from experience. Ti, definitely a powerful read. And I remember you mentioning a bit about your childhood on your blog, so I did think that this book would connect with you on some level. Oh, my goodness. Sounds absolutely amazing, and just so heart-wrenching. Will keep an eye out for it! This sounds fabulous and very topical. The cover too, is very striking.